Home » Category archives "Social Media"
Which Social Media Should I Put My Efforts into for My Business? Due to issues with privacy and security, Google+ is shutting down in April of 2019. On November 6, 2018, Google+ users were faced with the exposure of their private profile content. Alphabet Inc, Google’s mother company, revealed that a bug allowed 52 million users’ private information to be compromised and given to outside app developers without the users’ consent. “Protecting the privacy and security of our users has long been an essential part of our mission,” says Google, Inc. CEO Sundar Pichai. Yet, in October of 2018, there was a similar breach of privacy which also provided outside app developers with Google+ users’ private information, including full names, email addresses, genders, birthdays, photos, places lived, relationship statuses, and occupations. It was after this glitch that Google initially announced the demise of Google+, which was to be terminated in August of 2019. Considering the second privacy violation, the date of termination was moved up four months to April 2019. So, with all these major changes from Google, which platform(s) are most practical and provide the most security for your company? Google My Business (GMB) is presumed to be the platform of choice for business owners. GMB is a free tool for businesses to supervise their online presence throughout Google, including Google Search and Google Maps. This platform allows customers to find your business’ location as well as inform them about your business, its hours, and contact information. Within your GMB account, there is a section called Insights which offers new analytic features. Among these are queries used to find your business, customer actions like visiting your website, making phone calls, and direction requests. The platform also allows business owners to place ads, write posts, upload pictures, and update company information. Another aspect beneficial to business owners is that GMB allows for customers to leave a review of the company and compiles them in an easy-to-read list. These reviews can be responded to by the business owners. Social media is the basis of which most customers are going to learn more about your business. Many companies use various social media platforms to not only connect with their customers but to gain visibility throughout the internet as well. It is most beneficial to your company if you utilize multiple social media outlets to market your business. But which ones are worth it? LinkedIn is the most professional social media platform and allows businesses to network with other people or companies and draw potential customers or clients to your business. On your company profile, you can share any awards bestowed, your accomplishments, and post in detail about current and past projects. In addition to these features, you can post and share articles, videos, and photos on your newsfeed with your network of connections and followers. You can even develop your own articles using LinkedIn Publishing. Another great aspect of LinkedIn that is ideal for business owners is the ability to list job openings and review applications from potential employees. LinkedIn is a one-stop-shop for all your social media, marketing, and business development needs. 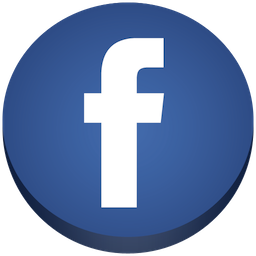 Facebook has specific pages and profiles for companies and business professionals. These provide the business with analytics, ad opportunities, and the ability to post events and updates along with photos and videos. Keeping your clients and customers up to date on all that’s happening with your business has never been easier or more condensed into one outlet. Facebook Messenger also provides more interaction with customers. Messenger allows customers to directly message a business and discuss any questions or concerns they may have. Instagram is perfect for sharing photos and videos from company events and posting promotional graphics to market your products or services. There is a business profile option which will allow you to connect your email address, phone number and website at the top of your Instagram page. Interaction with customers and clients is extremely simple with Instagram’s comments which, depending on your privacy settings, give anyone the ability to write a comment on a post. Twitter is another great social media platform for businesses to post last minute updates to their followers about promotions, events, or cancelations due to weather. In addition to these updates, Twitter is also a great source to repost from Facebook and Instagram. Not sure which social media platform is best for your business? Focus on what your company is providing to the public. If you have a lot of photographs to share with your customers, Instagram is a great option to allow your pictures to highlight your business. If your business hosts a lot of events, consider utilizing Facebook to create ads and invite customers to these events. Additionally, Twitter is great for making quick updates to schedules and keeping in contact with clients. If you still aren’t positive about what platform to use, start with one you are personally using. This way, you already have some experience with the platform and can utilize your prior knowledge to increase your business’ exposure. You may find that you want to have presence on more than one social media network. Being present in multiple areas will increase your company’s visibility and help you reach more potential customers. It may seem as if managing multiple social media accounts can become overwhelming. However, there is no need to fret. There are terrific software programs that help consolidate all your social media accounts in one space. Among these are Hootsuite and Buffer. Hootsuite integrates multiple types of social media outlets such as Facebook, Instagram, and Twitter into one interface. Other sites such as YouTube, LinkedIn, and WordPress blogs can be incorporated. If you have multiple businesses or organizations you manage, you may add these organizations along with all their respective social media accounts. Buffer is very similar. You can include multiple organizations as well, and each may have multiple social media accounts. Among those covered are Facebook, Twitter, Instagram, Pinterest, and LinkedIn. These integrations are wonderful because they provide you with the ability to create a singular post and share it on all your social media platforms with just a few clicks. You can also schedule your posts to go out at a later date or time, even months in advance! Both Hootsuite and Buffer provide analytics and the ability to respond to all your comments within the same window. When it comes to choosing which social media management software is best for your business, it is best to research each software to find one that fits your needs and budget. For further information please contact us at 1-855-PRMG-123 or email us at info@theprmg.com. On January 11, Facebook CEO Mark Zuckerberg made an announcement that the social media site’s main goal will shift from finding relevant content for users to helping users have more meaningful social connections and interactions. The change reflects an effort to improve the value of time spent on Facebook and the well-being of its users, according to Zuckerberg, who explained in a post that News Feed has shifted over the years from mainly personal content to mainly public content. “At its best, Facebook has always been about personal connections,” he wrote. Zuckerberg’s recent News Feed plan will make it more difficult for businesses, brands and media to gain feed time on the social site. To stand out, companies need to create engaging and interesting content that a reader will click on and share. Businesses should also be aware that not only will consumers encounter content and advertisements less frequently, but it is also anticipated that users will spend less time on the site in general, and this may not be an effective marketing platform. Paid content will likely still see a larger reach and higher success than organic content, but Facebook’s prioritization and the subsequent success of those ads will be dependent upon the ad’s overall objective. Businesses with marketing plans that are heavily reliant on Facebook must reconsider their ad goals, prioritizing those that aim for higher post or page engagement, including Likes and Video Views, over ads aiming solely to send viewers to a website for more information. Ads that aim to foster page engagement and website clicks may be the most successful. For instance, an ad which samples a company’s blog might entice someone to continue reading the article on the company’s site. The Facebook post itself might see a high engagement rate via Reactions, Comments, or Shares, which based on the new algorithm – in theory – should result in better performance. Though digital “billboard” advertising may have had its day, paid Facebook content isn’t going away any time soon. Additionally, there are many digital marketing opportunities on other social media, like Twitter, YouTube, and LinkedIn, and on search engines like Bing, Yahoo!, Google and their networks. The digital marketing team at The Public Relations and Marketing Group has a personalized solution for your goals. Working continually to stay informed of new trends and how to work with them for over a decade, PRMG brings clients the experience they deserve. Call us at 631-207-1057 or email us at info@theprmg.com today! Earlier this winter, Google added insight reports, tailored actionable buttons (think take-out ordering or hotel reservation booking) and bulk upload spreadsheet functions to its Google My Business features. Though all are especially helpful to restaurants, the latter is a great tool for businesses with more than one location (and, thus, more than one listing on Google) as it enables page owners to collect information for all locations to one central location. For results-driven business owners, the addition of insight reports means they will have greater access to digital marketing analytics, while the other changes make it easier for customers viewing a profile to take action directly from the listing. With the changing landscape of social media management, and owing to the fact that Google+ never quite became the platform people expected, the behemoth company has once again adapted its platform to make it possible for companies to utilize Google My Business pages in a similar fashion to traditional social media. Using the new Google My Business API (Application Programming Interface), business owners and their marketing departments can manage their Google My Business account in a more efficient manner. In a similar fashion to Facebook, users now have the option to create an “event” – which can be used by restaurants to advertise a holiday special or for destinations to promote a local fundraiser, among an endless assortment of occasions. Though these new features have already proven to be powerful marketing tools, to be effective, social media pages and listings like Google My Business must be managed properly to ensure positive results. One thing for established companies to consider is the need to migrate Google+ pages to the Google My Business social media page functions. The exposure of your listing works both ways. Though online exposure can draw more attention to your company in a positive way, errors or poor customer service often have a serious impact on your online reputation. Since social media is so, well… social, a business that doesn’t respond to negative feedback on its profile could face consequences from a broader audience of people looking to stir the pot. While many business owners may simply opt to ignore the naysayers, a disproportionate number of negative reviews on one or more social media pages will affect a company’s ranking on a results page on search engines like Google or Bing. To take advantage of the new Google My Business features, one must regularly check up on these consumer comments and reviews. It is also important to create and manage a social media schedule that reflects the tone of your business. For example, a children’s activity center would interact with its target audience in a different manner than a fine dining establishment. And, it’s important to accurately reflect the atmosphere of your business. Further, customers want to know that your business is active and responsive. Lack of social media maintenance will affect how search engines view your listing, so it’s important to manage social media pages like Google My Business effectively. The Public Relations and Marketing Group was established 15 years ago, at a time when social media was first coming into fruition. PRMG’s team of social media managers continually learn and grow their skills to keep ahead of changes in the industry and can help you develop your Google My Business page. We can also help to redevelop your existing Google+ and Google My Business pages to take full advantage of the latest updates. Contact us at info@theprmg.com or call us directly at 631-207-1057, ext. 107. Twitter’s trendiness has made it a hotspot for advertising. The social media site, infamous for its 140-character limit, has rapidly gained popularity since its release in 2006 by founders Jack Dorsey and Biz Stone. By the end of 2010, the service had gained 50 million monthly active users. That number tripled just two years later in 2012, and, despite a small dip in 2015, the number of users continues to grow. As of December 2016, 319 million people used the platform on at least a monthly basis. Businesses are joining the Twitter community in efforts to reach those who might not be so keen to comment on other social media platforms (such as Facebook or Instagram). Twitter users often opt to “mention” businesses, friends or famous people in their tweets, a feature which enables those mentioned to view and respond to said tweet instantaneously. This effectively provides users a direct line of communication with businesses to which they previously may not have had access. Politicians, athletes and entertainers (among others) use the social medium as a resource for indulging pertinent information (such as the status of a recent bill in Congress, the current score of a soccer match, or the release date of a musician’s new album) in a concise and personal way. 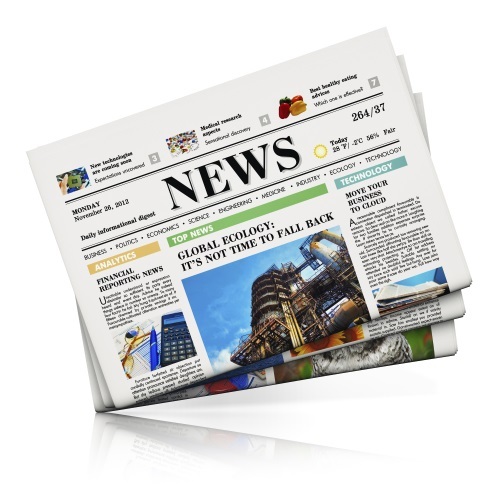 News and media outlets similarly utilize Twitter to reach out to mass audiences with crucial and critical news updates, a helpful and potentially life-saving feature in states of emergency, such as 2013’s Boston Marathon bombing. The ability to immediately reach a wide and varied audience is Twitter’s strongest suit, for business, celebrity, news and personal use alike. The great thing about social media is its flexibility – the platforms change and update rapidly, which reflects the ability of the human mind to change and update, and easily keep their users’ ever-distracted attention. Facebook’s major success with new video advertisements has prompted Twitter to follow suit, shifting away from promoted tweets and toward video advertising. Advertising on social media is useful in expanding brand awareness, increasing website traffic, and generating leads. When organic reach on social media platforms declines, ads are inversely on the rise. As Twitter rolls out its new video advertising campaign, businesses that take advantage of this new feature will be ahead of the game. If you think your business would benefit from target-audience lead generation, you should consider video advertising on Twitter. Call the experts at The Public Relations and Marketing Group for advice and guidance, as well as ad scheduling and implementation. Please reach out to us at 631-207-1057 x107 or email us at info@theprmg.com. Earlier this year, SocialTimes reported a change to Facebook’s Audience Network that will allow even non-Facebook users to see Facebook-powered advertisements as they surf the web. Since its launch in 2014, the Facebook Audience Network has become one of the largest ad networks in the world. So what does this new policy mean for businesses and organizations trying to gain a cutting edge in the cutthroat world of digital advertising? Originally, advertising partners with Facebook simply reached Facebook users through ads displayed on the site. But with the launch of the Facebook Audience Network two years ago, the social network enabled advertisers to extend the impact of their ads beyond Facebook. On a select number of mobile apps, partners could display ads with the added capabilities of the same targeting and measurement tools used on Facebook. However, these ads only reached users who were simultaneously logged into Facebook. Facebook’s recent announcement removes even this restriction. Ads that take advantage of the Facebook Audience Network now have the capability to reach even users without Facebook accounts. This offers a further incentive to advertisers looking for the convenient and comprehensive metrics Facebook’s business program provides. In addition, it increases Facebook’s clout in the world of online interest-based marketing, alongside other services like Google. Ultimately, Facebook has stated that they aim to improve users’ experience through their new advertising program as well. One of the benefits of the common ad platform will be to improve the overall quality and relevance of the ads users see, while individuals’ tools to opt-out and control their ad preferences are maintained. One can hope that the increased reach of the Facebook Audience Network will prove to enhance both advertisers’ and users’ online experience. At the Public Relations and Marketing Group, LLC (PRMG), we can help your company develop strong and well-coordinated Facebook advertising campaigns to broaden your exposure and drive people to your business. For a free consultation or for samples of previous digital advertising campaigns, please contact us at (631) 207-1057 or at johnzaher@theprmg.com. Now that it has surpassed Twitter in daily users, Snapchat is one of the most popular social media apps. With the introduction of personalized geofilters for photos to increase user engagement with businesses, it can now be used as an influential marketing platform. Snapchat is a photo- and video-sharing social media app, famously known for its vanishing element: users may to choose set a timer for their photos so that their friends can only view the photo within a certain (and short) timeframe. Filters are a way to frame or otherwise ornament photos that users have taken with their mobile devices and will share through the Snapchat app. Geofilters take this one step further, as they are based upon the user’s specific geographic location. Many geofilter designs include logos, pictographs, words or phrases (including slang) and other fun images associated with a certain state, town, restaurant, etc. The filters were originally designed for exclusive use in public places, such as the Grand Canyon or the Washington Monument. With the introduction of on-demand geofilters that can include company logos, your business could benefit from substantial new branding and reach. These “on-demand geofilters” won’t go unnoticed, particularly if your customer audience is made up of teens and young adults, the largest demographic to use Snapchat. According to Business Insider, 77% of college students use Snapchat every day and 58% of college students would be likely to purchase a brand’s product or service if they received a coupon on Snapchat. Additionally, Snapchat users are very actively involved with the medium, watching over 10 billion videos per day, according to a report published in Bloomberg back in April. Your company would also benefit from the use of Snapchat geofilters for and during your planned events, as photos with filters are more likely to be shared on the social media platform than those without filters, and these shares attract attention. A personalized geofilter for your business would appear to a Snapchat user after he or she takes a photo and swipes to the right; the filters could highlight either your brand or your particular event. The cost for these personalized company filters depends on the size of the location where the filter will be displayed (called the “geofence”) and the length of time the filter will be displayed (from one hour to 30 days). If your business could profit from increased exposure, contact The Public Relations and Marketing Group for filter designs and other social media expertise. To learn more, call (631) 207-1057 or email us at info@theprmg.com. Where do you get your news? If this question were asked forty or even twenty years ago, the most common responses would have included radio, television and good old-fashioned newspapers. But the Pew Research Center and the John S. and James L. Knight Foundation recently released a study on news and social media, and the findings reveal a significant demographic shift over the past few years. The big statistic revealed from this study is that 44% of American adults get news via Facebook. Yes, 44% of all adult Americans stay informed via the world’s most popular social networking platform. This number represents two thirds of all adult Facebook users, up from 47% of Facebook users in 2013. Some other figures from this study are worth mentioning as well. The total percentage of American adults who get their news from any social media network (including Reddit, Twitter, YouTube, LinkedIn, Instagram, Tumblr, and more) is 62%, and almost two thirds of those usually get it from just one social media network. For journalists and marketers alike, this represents a paradigm shift. While news consumers of a previous generation might have read the day’s headlines in the morning paper, heard additional news on the radio during their commute to work and returned home to catch the six-o’clock news on TV, today’s consumers are increasingly likely to get their updates from just one source—most often Facebook. Today, information and advertising are still delivered via a screen, but more and more the screen is located on consumers’ desks or in their hands rather than in their living rooms. Another important statistic: Among Instagram, Facebook, and YouTube users who get their news online, about 60% report that they merely see headlines while they’re doing other things online; only 40% specifically search the web for it. The internet has made it easier than ever before for information and advertising to reach consumers wherever they are, even if they don’t intentionally seek it out. It is impossible to predict whether social platforms will ever completely crowd out the “traditional” media of newspapers, radio, and TV. But in regard to marketing and public relations, organizations can gain valuable information about consumers’ shifting news sources from last month’s report. A thoughtful, relationship-driven approach to advertising is essential to navigating the complex avenues of social media successfully. If you have questions about how best to promote your organization across social media, The Public Relations and Marketing Group, LLC (PRMG) is happy to help. Don’t hesitate to contact us at (631) 207-1057 or at johnzaher@theprmg.com. In our evolving digital age, organizations must recognize the importance of online presence in marketing and reputation management. Even a seemingly simple branding change can have a significant impact on the public’s opinion of a product. Take a trending topic from two weeks ago, for instance: Instagram, one of the world’s most popular social media/photo-sharing platforms, generated a firestorm of criticism for its recently-redesigned logo. The new image inspired snide memes, critical tweets and New York Times coverage headlined “The Great Instagram Logo Freakout of 2016.” While such a strong reaction to something as simple as a logo change may seem incredible, the story goes to show that social media users care deeply about the platforms they use. In this case, a simple marketing choice had a major effect on popular opinions of Instagram. More importantly, however, this month’s Instagram drama is a reminder of just how big a part social media platforms play in today’s digitally-connected environment. Since its launch in October 2010, Instagram has grown from a simple photo-sharing service with one million users into a global platform on which more than 80 million photos and videos are shared every day. Today it’s one of the most popular websites in the world. Like many other popular networking platforms, Instagram has expanded from a purely personal network to an important presence for businesses and organizations. According to one report, almost 40% of marketers used Instagram to promote their products in 2015. But it isn’t just the number of Instagram users that stands out, it’s also the level of interactivity the platform allows between businesses and their target audiences. Social media sites like Instagram allow customers to invite their favorite corporations and causes into the stream of their everyday lives. Organizations need to capitalize on the opportunities provided by these platforms to interact with their target audiences frequently and consistently. The Public Relations and Marketing Group, LLC (PRMG) can help your organization successfully navigate today’s complex media environment. As a full-service public relations, marketing and digital advertising agency, we have extensive experience in increasing individuals’ and corporations’ visibility across all major social media platforms. 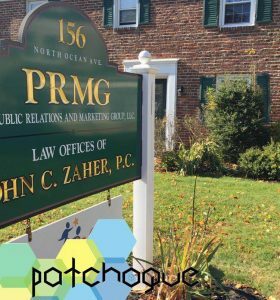 If you have any questions about our social media or other marketing services, please contact us at (631) 207-1057 or at johnzaher@theprmg.com. As we noted back in January, the Facebook development team was experimenting with new variations on its “like” button, following the latter feature’s more than six-year success and exponential popularity. Now the social media giant has unveiled “Reactions,” a series of emoji to expand the options for responding to posts and statuses on the site. CEO Mark Zuckerberg developed the choices to reduce the awkwardness of “liking” a sad or uncomfortable status or post. “Reactions,” which allows all users, commercial and individual alike, to express themselves with additional emoji “Love,” “Haha,” “Wow,” “Sad,” and “Angry,” was introduced as a means to convey empathy for friends and family, but will also be used to show irritation or discontent with brands and businesses with an online presence. Social media has a huge impact on business success, evolving into a new – and virtually permanent – word of mouth. In the age of online reviews, where any imperfect interaction can result in very loud discontent, businesses need to be very aware of what their consumers are thinking and feeling – particularly with regard to their product. Reactions enables consumers to show their emotions, including whether something upsets them. Though potentially dangerous for business, this feedback option will allow companies to respond to consumer complaints in real time, ultimately upping their public status and their sales. The problem with catch-all negative options “Sad” or “Angry” is that it will be difficult for companies to parse why their consumers are unhappy. Luckily, Facebook’s comments option is increasingly popular and can be utilized to voice complaints or concerns. With the combination of a Sad, Angry, or Wow emoji and an explanatory comment, businesses know what is working and what to re-evaluate. This direct consumer-to-brand communication is key to consumer happiness, as long as businesses are responsive and follow through on the feedback they receive. Seventy-two percent of people who complain on social media platforms expect a response within one hour, according to a study by Lithium Technologies. If companies aren’t regularly monitoring their social media, this could be colossally damaging to their public reputation. But it works both ways; according to a study from the London School of Economics and the Listening Company, a seven-point increase in word-of-mouth advocacy can increase revenue by one percent. When a business understands its customers’ wants and needs, it prospers. Studies show emotion is the number one factor in customer loyalty, which explains why sentimental commercials generally do better than commercials that don’t elicit emotion. Businesses that understand and reflect empathy are more competitive and more successful. If you are able to respond quickly and adapt accordingly, having negative emotive options on a social media giant like Facebook will have a more positive than harmful effect on your business. The Public Relations and Marketing Group, LLC (PRMG) is a full-service public relations, marketing and digital advertising agency. The company is dedicated to helping businesses, professionals, non-profit organizations, government entities, attorneys and law firms leverage their time, talents and resources by using effective public relations and marketing techniques. For more marketing advice, please contact us at (631) 207-1057 or at johnzaher@theprmg.com. Baby boomers and millennials have very different spending habits, thanks to the technology surge and influx of shopping options that have appeared over the past decade. Many companies struggle to keep up with the rapidly changing market, so The Public Relations and Marketing Group is sharing some statistics that may help. Information and measurement company Nielsen recently released data concerning millennial spending that pointed to mobile apps, social media, and digital channels as prime opportunities for marketing and advertising. According to the data, while baby boomers value brick-and-mortar stores for things like groceries, clothes and toiletries, millennials are three times more likely to purchase these goods online. Fifty-one percent of consumer packaged goods (CPG) online transactions in the U.S. are made by millennials. The group aged 18-34 is nearly four times more likely to use Facebook and Instagram to find new products and 50 percent said they discover new products from sources outside the store. Millennials have made Cyber Monday almost as popular and financially successful as Black Friday. Further, evidence points to the fact that mobile discovery leads to mobile purchasing, so companies that offer online payment options are much more likely to find success. But it isn’t just an online market. In fact, 57 percent of millennials surveyed said that they enjoy wandering through the store to find new products, and they are 1.6 times more likely to try new products. This means that novelty and personal expression are integral parts of successful product campaigns. If you’re noticing a lack of young consumers, try to permeate the digital world and create a sense of novelty for your product. Involving your company in social media, creating online coupons and methods of payment, and re-branding to keep your product modern are all ways to increase revenue. With their purchasing power growing exponentially, you can’t afford to ignore millennials’ needs. The Public Relations and Marketing Group offers digital advertising, social media management, web development and optimization, as well as traditional advertising services, to help you reach millennials and other consumers. To learn more, please contact us at 631-207-1057.